My work helping people overcome dis-ease started in the world of Western medicine as a nurse. However, when I saw and experienced just how powerful the breath is in healing, I knew it was time for me to more fully integrate past learning while seeking a more holistic direction. This insight took me down new paths investigating ancient arts along with new modalities. I sought out and studied with experts in Ayurveda including Dr. Vasant Lad, Dr. Robert Svoboda, Dr. Carl Rogue and Dr. Paul Dugliss. I learned Structural Yoga Therapy from Mukunda Stiles, and LePage’s Integrative Yoga Therapy. I also studied trauma release, dance therapy, kinesiology, and homeopathy. For two years, I lived with the Cherokee tribe and studied in depth their shamanic ways. Where most health professionals see separate and distinct schools and decide to specialize in one or two of them, I saw very clearly how they could work together to create unique healing packages, customized to address each client’s specific needs. By integrating the best from all my wisdom teachers, I developed my own holistic and inclusive approach that I call Functional Yoga Therapy™ (FYT). Many of you know me as Maria Kali Ma, a name I chose to help guide me through a powerful stage of my life. I will always honor the strength of the Goddess Kali as she helped me break through illusion and seek clarity, and it is time to move forward. With thanks to Kali for the symbolic help, I am now returning to my name, Maria Mendola. My formal studies include a 200-hour yoga teacher training with Mount Madonna Guru Baba Hari Das, and continuing education through Ananda Yoga. They also include 500-hour and 1000-hour Integrative Yoga Therapy trainings, a 700-hour Structural Yoga Therapy training with Mukunda Stiles, and Ayurvedic studies with Dr Rogue, Dr. Svoboda and Dr. Lad. I’ve also done continuing education with Tias Little Prajna Yoga. The venues I use to guide people in finding their natural balance have taken me far beyond my initial dreams. 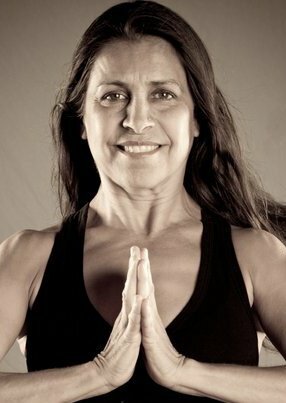 Today I offer yoga classes, hold Ayurveda and FYT workshops in Tucson and across the nation, teach for respected international schools of yoga therapy, and provide opportunities for cleansing, balancing and rejuvenating with the seasons. I also hold clinics, provide online seminars and write eBooks. If you prefer a more personal approach, I’m available for consultations and private one-on-one sessions in person and via the Internet. Because I feel so present, so alive, and ever so grateful that I get to learn and share this complement of ancient practices with modern discovery.